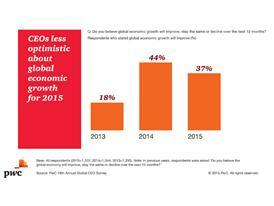 DAVOS, SWITZERLAND – 20 January 2015 – Fewer CEOs than last year think global economic growth will improve over the next 12 months, though confidence in their ability to achieve revenue growth in their own companies remains stable, say the more than 1,300 CEOs interviewed in PwC’s 18th Annual Global CEO Survey. Results of the survey were released today at the opening of the World Economic Forum Annual Meeting in Davos, Switzerland. 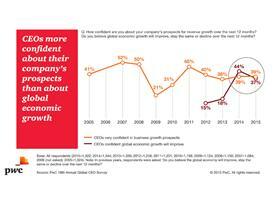 “CEO confidence is down notably in oil-producing nations around the world as a result of plummeting crude oil prices. 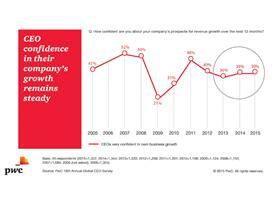 Russia CEOs, for example, were the most confident in last year's survey, but are the least confident this year. Confidence also slipped among CEOs in the Middle East, Venezuela, and Nigeria”. 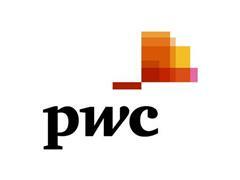 For PwC's 18th Annual Global CEO Survey, 1,322 interviews were conducted in 77 countries during the last quarter of 2014. By region, 459 interviews were conducted in Asia Pacific, 455 in Europe, 147 in North America, 167 in Latin America, 49 in Africa and 45 in the Middle East. 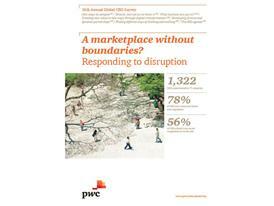 The full survey report with supporting graphics can be downloaded at www.pwc.com/ceosurvey​. 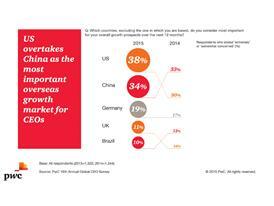 What are CEOs perspectives for revenue growth over the next 12 months? What are CEOs doing to redefine how to compete in this dynamic world? 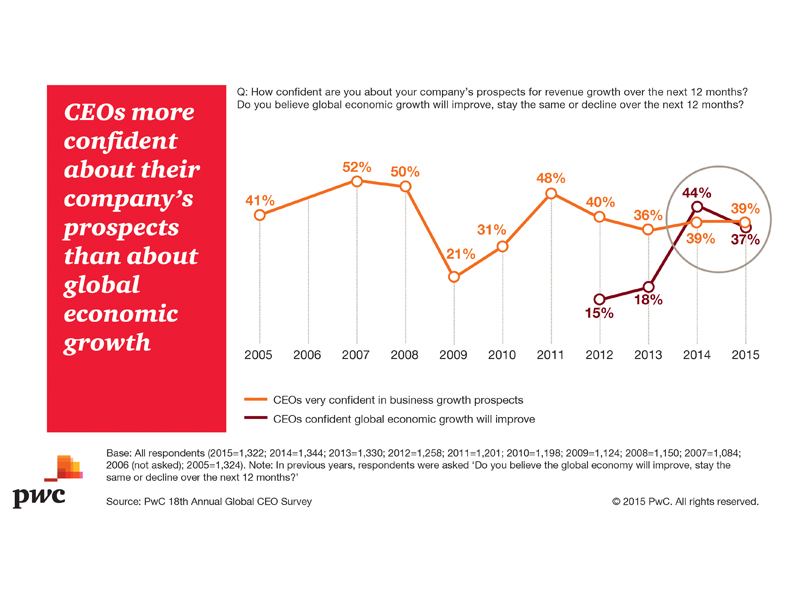 How do CEOs feel about the economy?